To be honest, nobody was blown away when IGT announced that they were going to release an Ancient Egyptian themed video slot. Another one, we all cried? 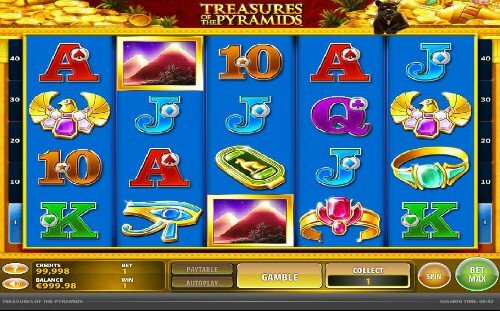 There are so many out there on the net already that the Treasures of the Pyramids slot would have to be amazing to surprise anybody. How does IGT’s new slot compare to the others? Well, it has curiously included jaguars (a South American animal) into its design, so that’s new. Let’s see if it stands up the its rivals, in our Treasures of the Pyramids slot review. Yes, you did read that right. IGT has included jaguars in its Ancient Egyptian themed video slot. If you take away the fact that there shouldn’t be any in Ancient Egypt, you are left with a rather stereotypical title in the Treasures of the Pyramids slot machine, with Eye of Horus, rings, ankhs, cartouches and plenty more predictable imagery aplenty. Treasures of the Pyramids isn’t going to be too harsh on your finances. The lowest coin value in the slot is just 1p, but you can increase this to be worth £50 if you wish. Paylines are also adjustable (which is strange from an IGT slot). 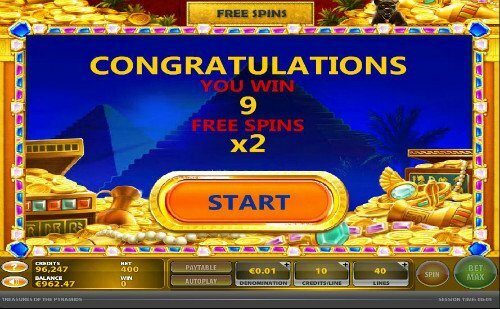 You can choose to play with 1, 10, 20, 30, or 40 paylines, giving you minimum and maximum wagers of 1p per line, per spin, and £2,000 per spin, respectively in the Treasures of the Pyramids game. That misplaced jaguar plays an important role in this slot. It is a wild icon. As a wild, it is capable of substituting for all other symbols save for the free spins symbol. Wilds also happen to be the top paying icons in the game. If you were to land 2, 3, 4 or 5 such symbols on any active payline, you could walk away with a wild non-progressive jackpot win worth 10, 75, 150, or 5,000 coins, respectively. The pyramid is the scatter icon, and it can offer you scattered wins worth 1x, 3x, 25x, or 50x your total bet when 2, 3, 4 or 5 such symbols appear anywhere on the reels. There is a free games bonus in Treasures of the Pyramids, and is one of just of just a few Treasures of the Pyramids slot bonuses. In fact, aside from the wild, it is the only other one available. When a player lands 3 or more of the pyramid icons anywhere on the reels, they will trigger the feature. 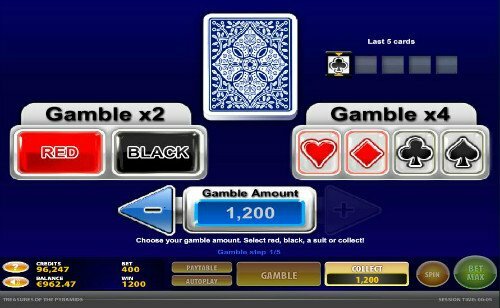 This is a really basic free spins bonus game, offering you 8, 15 or 100 free games, depending on whether you landed 3, 4 or 5 of the scatters, respectively. In the feature, all wins are doubled by a 2x multiplier, except wins which feature 5 wild symbols. How does Treasures of the Pyramids compare then? The Treasures of the Pyramids slot machine game’s biggest challenge was to stand out from the many other hundreds of Ancient Egyptian themed slots. Does it succeed? Not really. Its graphics are crisper than most, but they are effectively the same symbols and images we’ve seen a hundred times over. The bonus rounds are exactly creative or unique, and what is with the jaguar? This slot’s saving grace is that it is one of the cheapest and most flexible IGT slots ever devised for the online casino world, and that just might make you curious enough to want to give it a run for its money.